It's been five long years since Paul McCartney unleashed his previous "New" album back in 2013 and over three years since Yours Truly KJS was fortunate enough to be one of the 15,800 fans in attendance in Birmingham during his "Out There" tour in May 2015. A review of Paul's new studio album "Egypt Station" is therefore in order following its release last week. 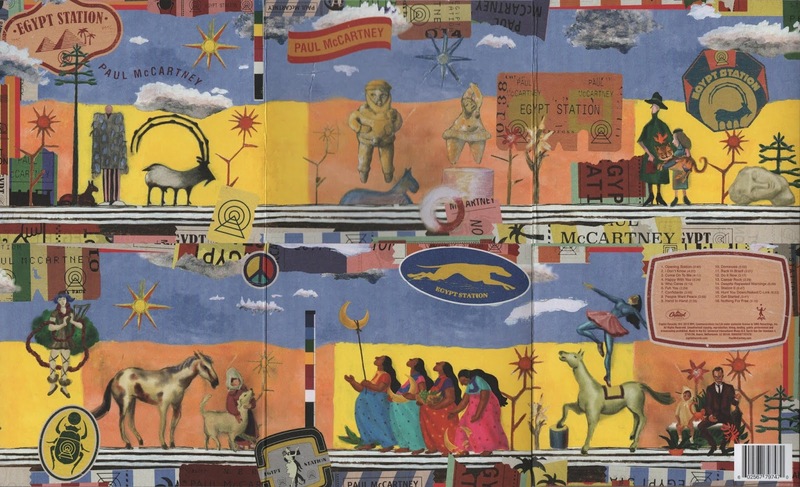 With the deluxe edition boasting two extra trax taking it to a duration of over an hour, "Egypt Station" has plenty of opportunities for this Beatle to try his hand at a plethora of styles and, lyrically, take the listener on a journey from the autobiographical to the anthemic beneath his revived ancient Egyptian album art. McCartney can write a tune (as we all know) but what strikes me about this record is that it goes all over the place musically speaking from the commercial aspect of "Fuh You" to the soul bearing "Confidante". With up to eighteen songs present, some might say there are some weaker efforts in amongst the pearls but this writer sees "Egypt Station" as something with a greater whole. elobeatlesforever (elobf) recommends "Egypt Station" by Paul McCartney to those enlightened folks who enjoy the music of ELO, Jeff Lynne, Roy Wood, The Move, The Idle Race, 'Brum Beat', The Beatles and related artistes.